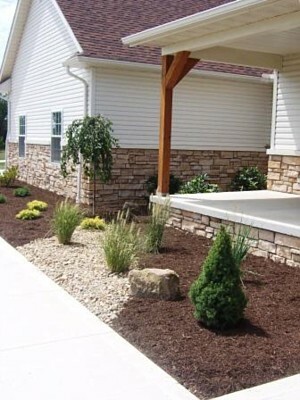 Stoney Creek Landscaping is a niche company that provides excellent landscape design and installation services to customers in and around Creston, Wadsworth, Strongsville, Medina, Norton and Wooster. Over the years, we have also catered to a number of customers across Barberton, Seville, Orville, Brunswick, Cuyahoga Falls and Green. We have a team of highly skilled landscape designers and installers who will work closely with you, identify what your design preferences are and then provide solutions that fit in perfectly with your requirement. While we provide you high quality solutions, we maintain very low landscape design cost- this provides you value for money. When we are creating any design concepts for your landscaping, we keep the layout of the property and the architectural elements in you. In addition, we ensure that all the existing elements like trees and plants are incorporated in some way into the design concept. 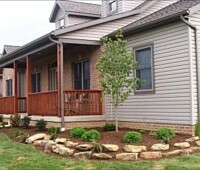 Procure landscaping plants, soil, sod and fertilizers from the best nurseries. This ensures the sopftscaping will be healthy and disease-free. We also make sure that the best materials are used in the work and that experienced and certified installers handle the work. 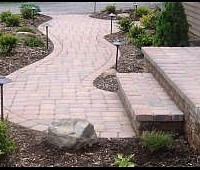 We add various features such as retaining walls and provide you various paver design options.You can choose from concrete, natural stone or brick paver driveways, walks and pathways. 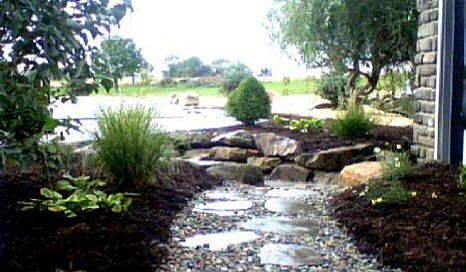 We ensure that you get the type of water feature installations you want. 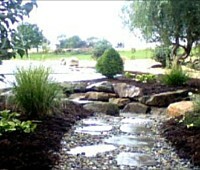 In short, we provide custom solutions for all your landscape design and installation needs. This attention to detail and focus on quality ensures that your landscape looks stunning and that it will stay healthy for years to come. 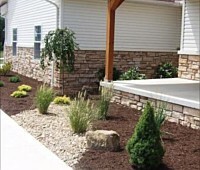 No matter what the scale of your requirement, we can help you achieve the landscape of your dreams. While we are doing all these things, we keep your budget in view at all times. 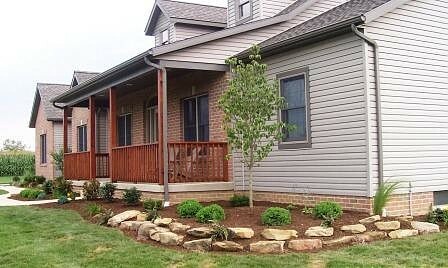 The backyard landscaping project will be completed efficiently and within the stipulated time frame. 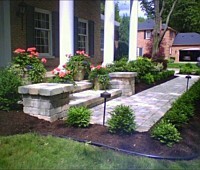 For more information, call Stoney Creek Landscaping at 330-466-3181. If you prefer to contact us via email, please send us your queries via this online form. You can also request an estimate via our home page and we will respond shortly. Click on the images below to view a larger display.